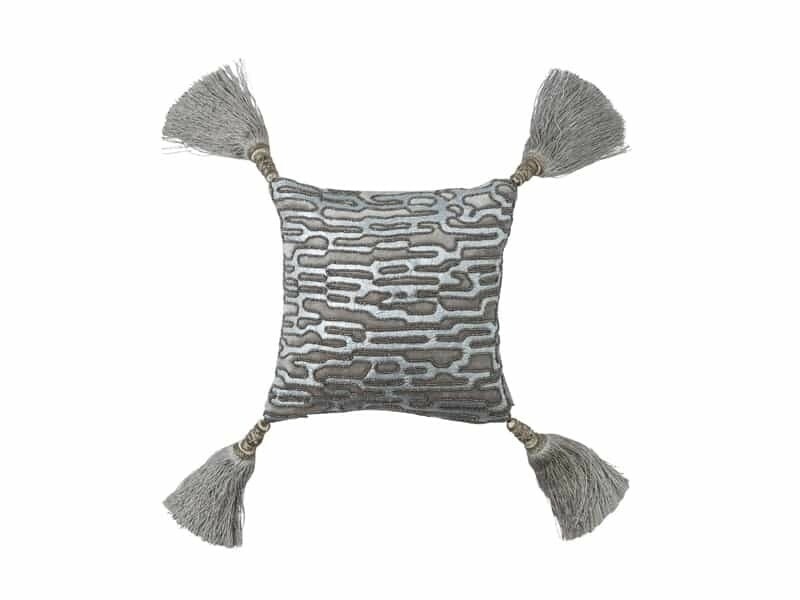 Christian Small Square Pillow (10x10) is made of Platinum Velvet with Silver Print, Silver Bead Embellishment. and Silver Silk Tassels. A pillow insert is included. Professional Dry Clean Only. Imported.